Heute war ich auf allen Sparten fleissig. 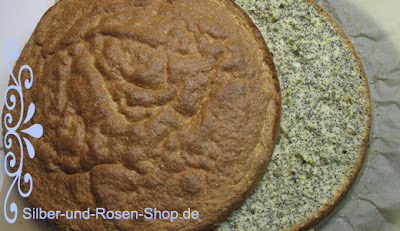 Tischdeko fürs Foto hergerichtet und Torte gebacken. Today I was busy at all sectors. I made a table setting and baked a cake. Die Birnen-Mohn-Torte ist etwas ganz Besonderes. Der Mohn wird ungemahlen im Bisquitteig gebacken. Die Füllung besteht aus Birnen und einem Birnenguss. 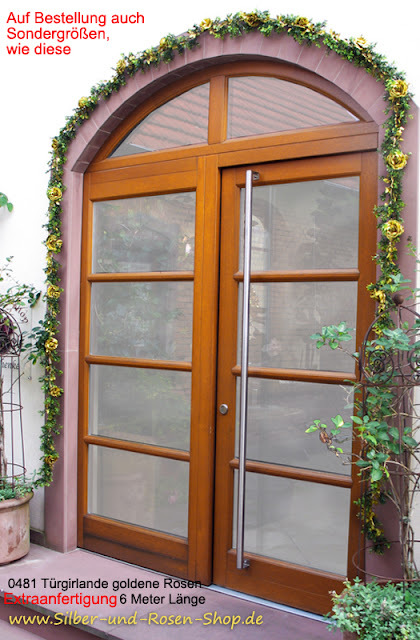 Die Oberfläche wird mit Sahne, Kokosraspeln oder weiße Schokoflocken garniert. Total lecker und ganz einfach zu backen. The pear and poppy seed cake is very special. The poppy is unground baked in biscuit dough. The filling is made from pears and a pear pudding. 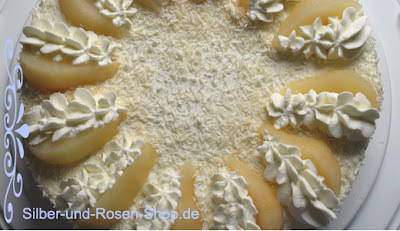 The surface is decorated with cream, grated coconut or white chocolate flakes. Yummy and easy to make. Die neue Tischdeko ist für eine Taufe gedacht. Du bekommst den Ehrenplatz in der Mitte und auch das erste Stück von der Torte. The new table decoration is intended for a baptism. You get the place of honor in the middle and also the first piece of the pie. 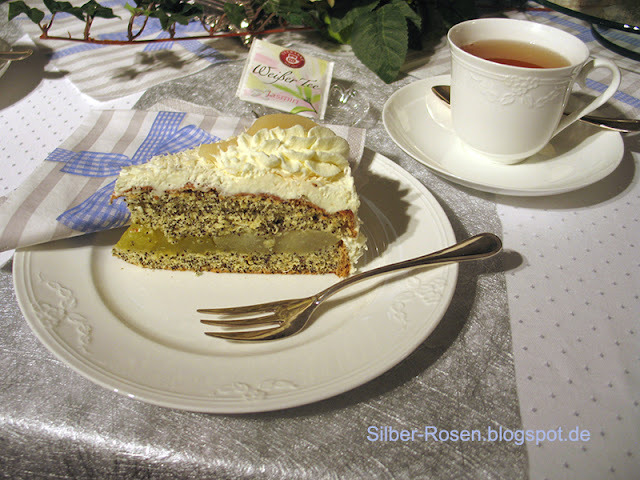 Zur Birnen-Mohn-Torte gibt es Weißen Tee mit Jasmin. With the Pear Poppy Seed Cake you will have white tea with jasmine. Johanna, you always bake the most unique cakes and I'd love to try this one with a cup of tea. Your table looks so sweet Johanna and that dessert is wonderful! 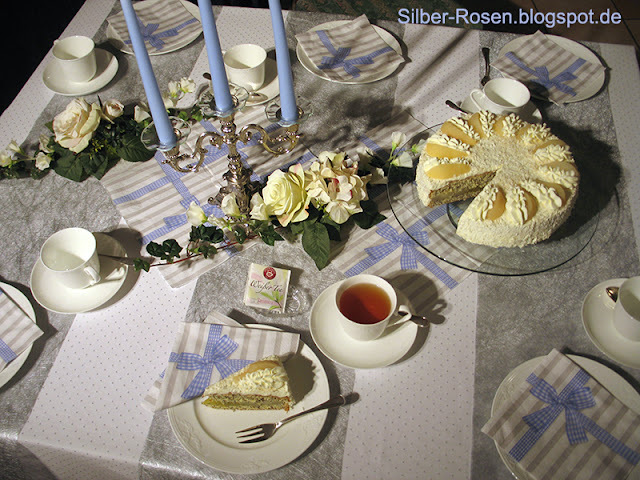 Johanna, the pear and poppy seed cake is lovely and so is your table setting. Thanks for sharing! You are quite a fancy baker; WOW this looks so perfect and of course it will be delicious as well. Thanks for always so generously sharing your fabulous recipes. Johanna, lecker - ungemahlen kann ich mir nicht vorstellen, aber wenn du es gemacht hast, wird es gut sein. schade, dass ich dieses Tortenstück nur virtuell geniessen kann....zu plaudern gäbe es ja bestimmt für mehrere Totenstücke! Johanna - I have never seen anything like that cake in the States! But, you are using some favorite ingredients and it looks like a work of art! Glorious! Table, cake - and if it's so easy . . . recipe, please? Johanna, your table looks lovely and I would love to have a slice of that delicious looking cake with tea! Pretty fancy baking, my friend! Thank you for sharing and joining me for tea. ...haste noch ein Stück für mich, liebe Johanna? 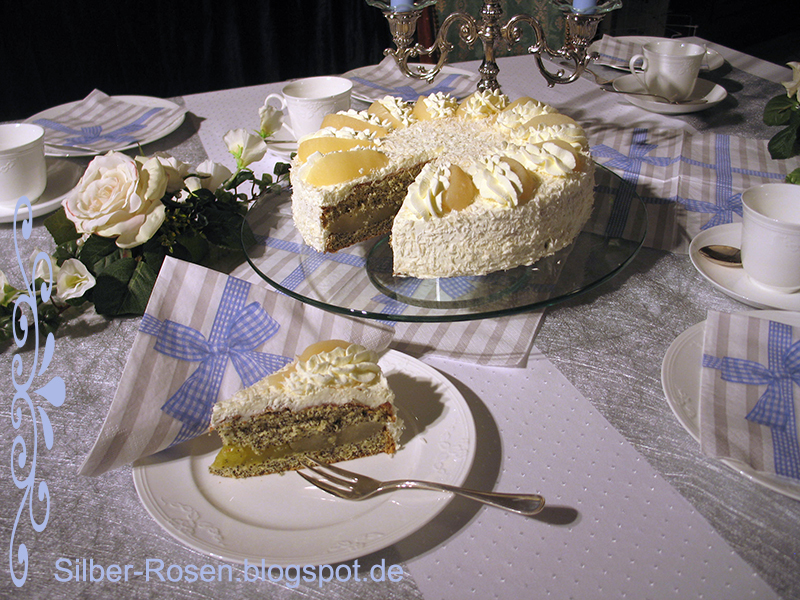 die Torte ist einfach ein Meisterwerk und sieht sehr lecker aus. Your cake looks so very delicious! You did a beautiful job on it, as well as your tea table. Such a cheery and fresh setting. Sounds just right for your celebration. White tea with jasmine sounds good with the cake. I recently had Irish breakfast tea and it was pretty good! What a lovely and special tea time you have created, Johanna! Your pear cake looks so delicious. YUM~~!! 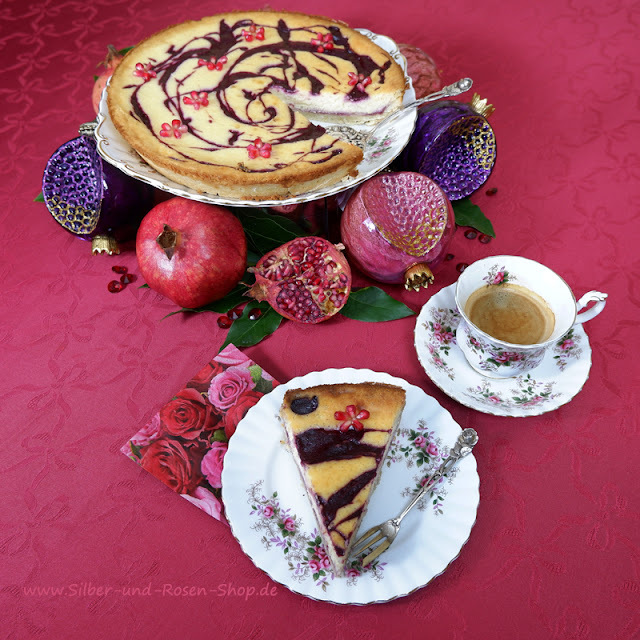 Oh schaut die Torte lecker aus Johanna - zum Anbeißen! 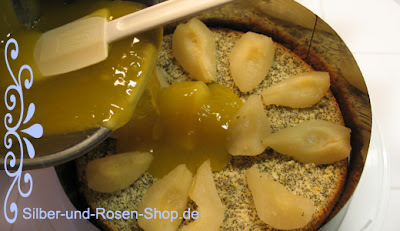 Wenn ich zwischen Kuchen und Torte wählen kann, dann lange ich lieber zu Torte. 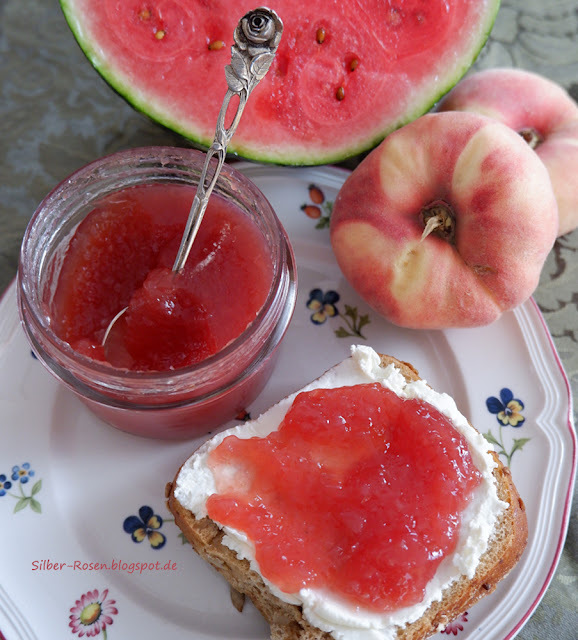 Und manchmal packt mich der Heißhunger zu Sahne und Creme - hm, es gibt aber auch so leckere Sachen!